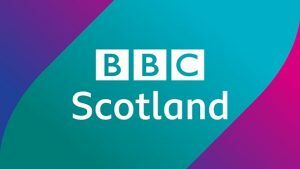 Scottish singer-songwriter Emeli Sandé, award-winning actor Mark Bonnar, comedy legends Ford Kiernan and Greg Hemphill and a raft of new talent and documentaries showcasing modern Scotland, are lined up to feature on the new BBC Scotland television channel launching next month. Newly-commissioned programmes span the genres from factual, entertainment and arts to comedy, drama, news and sport, meaning hundreds of more hours of additional content for audiences in Scotland. The channel goes on air at 7pm on Sunday 24 February. One of the most anticipated commissions is Guilt, a twisting and unpredictable four-part drama series, from the award-winning Scottish writer of Eric, Ernie And Me, Neil Forsyth. Directed by Robbie McKillop (Cleaning Up, Clique), it stars Mark Bonnar (Shetland, Line Of Duty, Catastrophe) and Jamie Sives (Game Of Thrones, The Victim, In The Dark) as two brothers whose lives are thrown into disarray after they accidentally run over and kill an old man while driving home from a wedding. Guilt is the first drama commission for the new BBC Scotland channel, where it will premiere before its network transmission on BBC Two. It is a co-production with Happy Tramp North and Expectation. In arts, Emeli Sandé’s Street Symphony sees the multi-award winning singer-songwriter travel across Scotland to find the nation’s finest untapped musical talent and orchestrate a concert quite unlike any other. Over four programmes, Emeli sets off from her home town of Alford, near Aberdeen, and heads to Inverness, Dundee, Glasgow and Edinburgh to hand-pick her five favourite street performers. After honing their acts to perfection, the artists will be joined by the BBC Scottish Symphony Orchestra – and Emeli – to give an inspirational and emotional performance at the City Halls in Glasgow. Other titles released today include an eight-part documentary series The Children’s Hospital, about The Royal Aberdeen Children’s Hospital, and Children Of The Devolution, which sees journalist and broadcaster Allan Little embark on a journey across Scotland meeting families who include people in their 20s, 40s and 60s to look at how their lives have been shaped by the creation of the Scottish Parliament over the last 20 years. Inside Central Station, a six-part series about the people behind the busiest railway station in Scotland; Getting Hitched Asian Style, a behind-the-scenes look at Scotland’s biggest Asian wedding planners; and A View From The Terrace, a weekly sideways glance at Scottish football adapted from the cult fan-led podcast The Terrace, were also included in a raft of programme announcements. The channel will showcase much-loved established comedy talent, (Still Game, Scot Squad) alongside new faces and voices of the comedy circuit (Comedy Underground, The State Of It). Nightly news hour The Nine and a Question Time-style debate series from Scotland head up the current affairs offering. 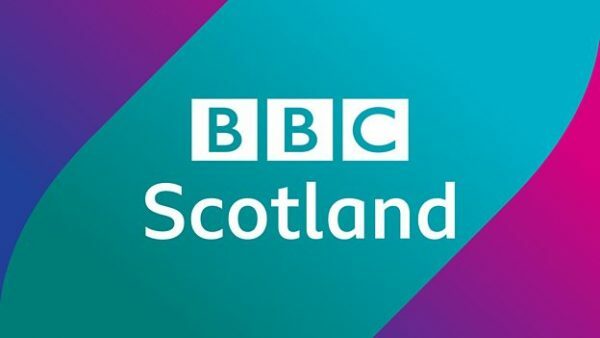 Steve Carson, BBC Scotland’s Head of Multi-Platform Commissioning, says: “We’ve been working with more than 70 suppliers across the creative sector to help fulfil our vision for the new BBC Scotland channel – a channel for modern Scotland with quality, compelling content.